Dr. Prendergast is an archaeologist interested in the history of food and eating, and in the past lifeways of hunter-gatherer-fishers and the earliest livestock herders in sub-Saharan Africa. She co-directs a field project, in collaboration with the National Museum of Tanzania, that examines social changes associated with the emergence of food production in eastern Africa. She also co-directs a project that explores past demographic changes in sub-Saharan Africa through the analysis of human ancient DNA, in collaboration with the Reich Laboratory at Harvard Medical School, where she is a Scientific Associate. She has used zooarchaeology -- the study of ancient animal bones -- to pursue diverse questions about ancient environments, diets, and human and animal movements in China, Kenya, Tanzania, and Madagascar. 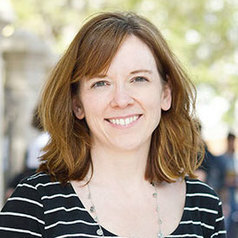 She is currently the Chair of the Division of Humanities at Saint Louis University’s Madrid campus.